It's a cool read, this list, but it keeps being presented in a false way. It's not as if Scorsese wrote up a list and said "everyone should see these movies!" He mentioned them all over the course of a lengthy interview. My point being that there are a lot of movies missing that he routinely mentions in other interviews. This is just how the guy's brain works - he's always thinking movies. I don't mean to dis it - I loved reading it. I just mean that it's being presented as if he'd drawn up a curriculum for a cinema studies class and these were his absolute 85 greatest films, when in fact it's nothing of the kind. It's usually my favorite thing about Scorsese interviews, all the movies he mentions. There's always some semi-obscure western or melodrama from the 40s or 50s I've never heard of that I have to track down. Yup. But it's also got some of his favorites like "Force of Evil." Cool movie. Yeah, I love hearing his comments about some of the flicks, particularly those of his contemporaries. That was fun! I'm not a huge fan or Rosselini though Paisan is great. No Pier Paolo Pasolini though? One of Italy's (and the world's) greatest film makers..as you said though, not a complete list and no Japanese entries at all. 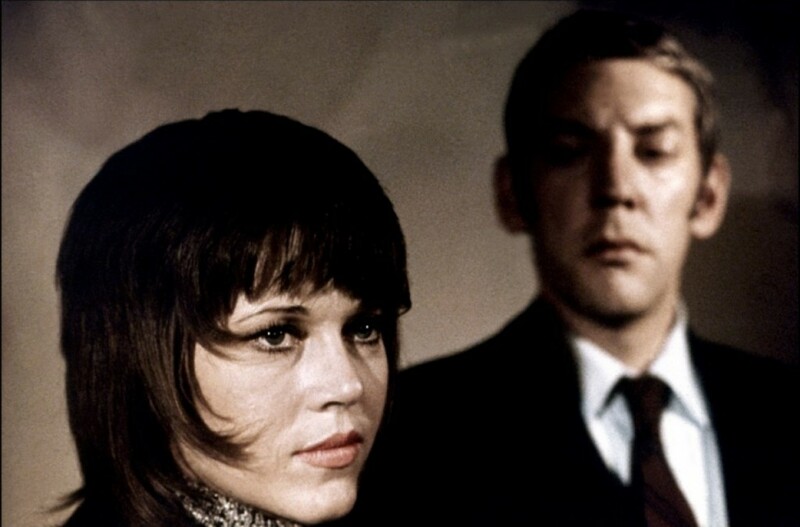 I saw "Klute" a few years back and was no impressed..is it dated? Maybe need to give it another shot..
Jane Fonda looking a little bit like Joan Jett?!? Pretty cool. Interesting list. Jason & The Argonauts. House of Wax. Funny, how I remember seeing those as a boy and how they grabbed me. Especially House of Wax. I became scared shitless every time I went to a wax museum. I remember seeing McCabe & Mrs. Miller when I was 8 with my mom. (My parents always took me to whatever they wanted to see.) The violence really touched me....very uncomfortable. Great flick. Right - for instance, he touches on a couple Ford flicks, but doesn't mention The Searchers, which he has talked about endlessly for decades. He doesn't mention Leave Her To Heaven, which he talks about fairly extensively in the book of interviews he did with Richard Schickel.